Joelle Paris, the skin and hair care brand by Joelle Mardinian, launched it’s all new hair care range, Detox range, last week at the Jumeirah Zabeel Saray. A brand known for creating products with the kindest of ingredients, this time has taken on the goodness of the Eucalyptus to focus on a cooling and cleansing look and feel. The two-product range consists of a hair shampoo and hair mask for exfoliating the scalp, ensuring fresh and clean hair, all while providing nourishment. 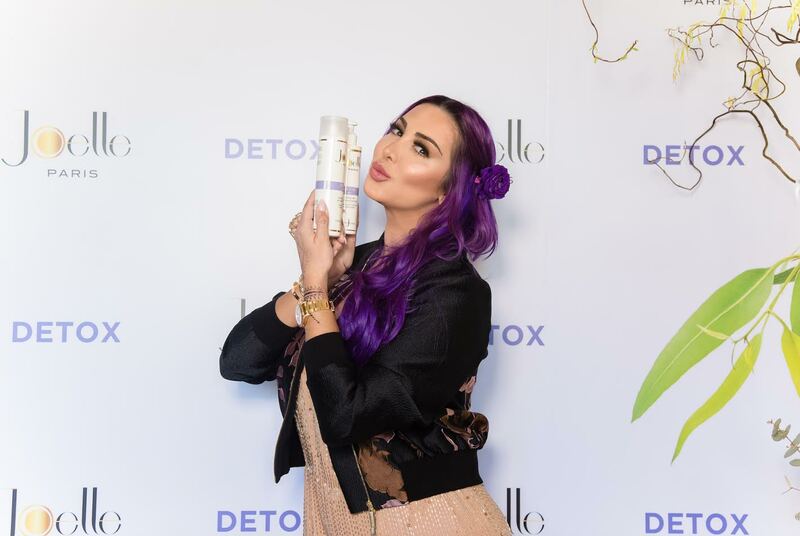 The product launch included well-known faces in the region celebrating yet another success with Beauty Guru Joelle Mardinian. The freshness of the Eucalyptus forest fun took over into creating a refreshing and fun-filled evening for one and all.